Torino vs Bologna predictions ahead of this clash in Serie A this weekend. The hosts are looking to continue their fine form and their European push. Read on for our match preview and free betting tips. Torino continued their European bid at the weekend, and they sit in the top six with just 11 games left to play. The hosts are aiming to close a six-point gap to the top four and secure a shock Champions League berth. This weekend, Il Toro are hosting a side in a very different predicament. 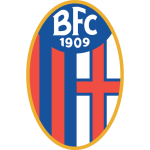 Bologna come into this game aiming to move clear of the drop zone, as they hope to build on a huge home win from Sunday. Torino are in fine form, although they had to come back from 1-0 down against second-bottom Frosinone at the weekend. They were trailing at the struggling side until a second-half double from Andrea Belotti gave them the points. That moved Belotti onto 10 goals for the season, and the Torino faithful will be hoping to see their key forward back into the kind of form which saw him linked with a £100million mega-move. Bologna are coming off the back of a win of their own. They claimed a 2-0 victory over Cagliari on Sunday, but they remain in the bottom three in Serie A. They’re making a push for safety, with the club now sitting only a point from safety. However, can they claw their way out of the bottom three with a result at Torino this weekend? The visitors face a tough trip, as Torino have built up some great form of late. Il Toro have won their last three matches, which has pushed them into the European mix. They’ve built up an excellent defence under Walter Mazzarri, letting in just 0.85 goals per game. They should expect to hold off a Bologna side who have had huge problems going forward. The visitors have averaged 0.81 goals per game this season. Their finishing has been a real problem – with their goal tally over eight shy of their expected goals total. That shows that their forwards just aren’t up to the task. We see the visitors struggling here, after losing eight of their 14 away trips. Meanwhile, Torino are up to sixth in the home form table, after winning eight times at this ground this term. They’ve claimed five straight victories at their own ground, winning to nil in each. They’ve won all six of their home clashes with the bottom eight, so we think they’re great value for a victory in this clash. 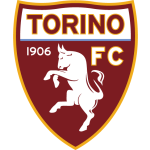 A Torino home win is our pick here, while we’re tipping a 2-0 victory for Il Toro. Torino have won their last three home league games against Bologna, the Granata have also scored in each of their last 13 home games against the Rossoblu in Serie A (25 goals). Torino have gained 44 points in Serie A this season, a record for the Granata after 27 games in a single Serie A season in the three-points era. Bologna won their last Serie A game, the last time they won consecutively in Serie A was in February 2018. Torino (400) and Bologna (377) have won the most fouls in this current Serie A season – the Granata have also conceded the most fouls (453). In their last game, Andrea Belotti (58 goals) became Torino’s 7th highest goalscorer in Serie A – the striker is just two goals away from matching Franco Ossola and Onesto Silano in 5th place. Torino’s striker Andrea Belotti has scored in his last two league games, only twice in his career has he netted in three Serie A games in a row: in December 2016 and in April 2017. Bologna’s midfielder Blerim Dzemaili has scored five goals in six games against Torino (his favourite opponent), including his only hat-trick in the competition (March 2013).